Restaurant marketing is similar to any other businesses, but there are two significant players, Yelp and Google, and they are dominating the industry. Today, we provide 12 restaurant marketing tips and advice to help seize the top spots in search engines and customer review websites. If you’re interested in learning how to put an end to unjust negative reviews on Yelp (as well as the best practices on gaining as many positive ones as possible), make sure not to miss the final section of the article where we discuss these points in detail. 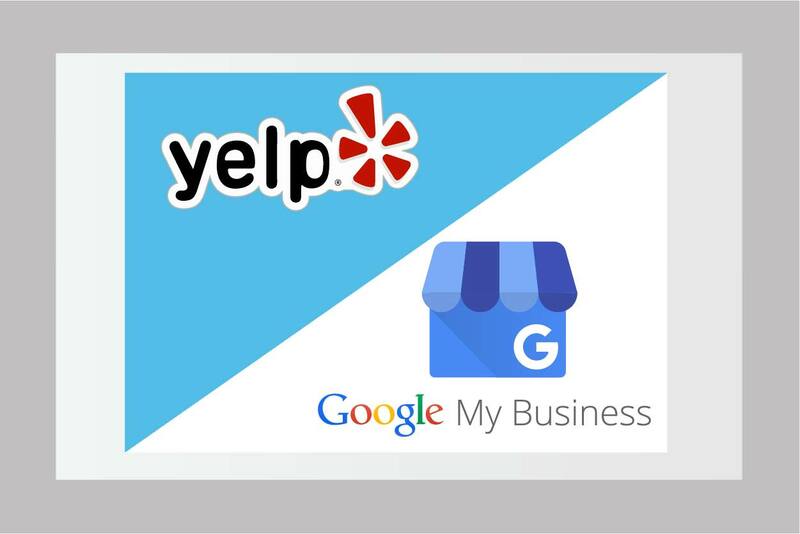 If there’s one thing you want to take away from this article, it’s how use restaurant marketing strategies to leverage the power of customer review platforms like Yelp and Google My Business. Having a good presence with these websites will bring you a good chunk of traffic. Review platforms are high sources of traffic for desktop and mobile traffic, and the official Yelp app has a lot to do with this phenomenon. After that, you should focus your efforts on Facebook, Bing, and Apple Maps. Local directories are important as well, but not more than the social media and search giants outlined above. At any rate, listing your restaurant in the local business directories won’t cost you anything. Most of these are free, but even if you stumble upon a high ranking website with quality content that requires a listing fee, it may very well be worth it, since this can be an excellent source of leads. To succeed, do keep in mind that you need to actively manage and update these listings by adding specials, photos, and announcements. If this sounds like too much work, you may want to seek help from of our restaurant marketing and Local SEO consultants. Contact us for a free estimate. Using keywords such as “best restaurant in [your location]” do not produce results as they did ten years ago when Local SEO was about links and keywords, and your website’s meta tags had more influence. The reason for this stems from the fact that Google and other major local search platforms control most of the traffic and now focus on a customer experience more than keywords. In other words, search engine results now place a higher value on reviews which is why websites like Yelp are finding success. In fact, search engines like Bing, Yahoo, and the one in Apple’s iPhone use Yelp’s database and extensive reviews to power their search results for local restaurant searches. Simply put, if you don’t have any presence there, using keywords such as the ones we’ve mentioned won’t help very much for bringing business to your door. Your website should have content that focuses on your community and things that are of interest to your customers. For example, if you are hosting a fundraiser for a local sports team or senior center make sure you promote it on your website. Don’t forget to include details about other local events your business is not involved with directly. This information can be helpful especially if potential event visitors need to find a place to eat before or after the game. In fact, some local events may have websites that are low quality or have none at all because volunteers run them. So if your site includes detailed information people are searching for, it will be the one search engines display when people are searching. Hence adding featured content about local events and fundraisers will help get the word out about the attraction while boosting quality traffic and potential sales both before and after local events. In summary, focus most of your efforts on making sure your website has quality content and is regularly updated. Local directory results use the quality of your site as a ranking factor, so updating it often with high-quality photos of your restaurant, event information, menus and specials will be a massive help to your raking in Local Directories like Google My Business. Using structured data is a great way to get an edge over your competition. Just by implementing it, your click-through rate may increase as much as 30% (source: search engine land ). But to do it efficiently, the first step is to identify the structured data opportunities on your website. The restaurant location is the obvious one, but there’s a whole lot more you can do. For example, you can use structured data to tag the details (name, location, time, date, admission costs, etc.) of special events such as Darts Nights, Karaoke Night, Superbowl Sunday. If you have a venue and host events and activities, you have a perfect opportunity to get additional exposure to the restaurant if you know how to mark it up correctly using structured data. In this day and age, we business owners are always fighting for the attention of our customers. Having an unresponsive website not only makes you look unprofessional, but it will also drive away the potential customers who will quickly lose interest and move on to another service provider. Google has also announced that they are using the loading time of your website as a ranking factor. It is hard to tell how much benefit it will give you but it is worth doing because it’s easy to measure using Google’s PageSpeed Insights and every advantage you can get is one step closer to getting to the top of search results. First test your pages to see if you get a passing grade. If you get a poor score you will want to reach out to reach out to a seasoned SEO consultant. Contact us for an estimate if you don’t have someone you can trust to get the job done. SEO is part of every good restaurant marketing strategy. However, it’s easy to fall into the lure of using blackhat SEO practices since they promise quick results. But in reality, even if you’re able to get some short-term success with them, it’s unlikely to last long, since your website stands a good chance to get penalized by the search engines as soon as they detect any optimization practices that are against the terms of service. With whitehat SEO, on the other hand, the high search engine rankings are likely to stay with you long into the future, even if it takes a bit longer to reach your ranking goals. Hence it is best that you and your marketing team should read Google’s Webmaster Guidelines. The design appeal of your website is especially important for restaurant owners since, in this line of business, the presentation is everything. Apart from professionalism having a unique design will also contribute to better search engine rankings. So make sure your designer does not take shortcuts by designing your website with the same cookie cutter template they used for your competition. While you’re in the midst of the process of acquiring natural backlinks, it’s easy to forget that on-page optimization is an essential part of SEO and every good restaurant marketing plan. Do keyword research, so you know the words and phrases your customers are using in their searches. If you are using Google Adwords you already have access to a key word planner. 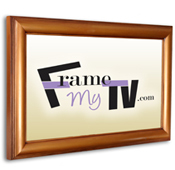 If not you will want to create an account since it is free and you have no obligation to advertise. Review and update your meta tags as they are still a significant factor in search engine optimization. Do this by creating unique quality meta description, headers, titles for each page, but it doesn’t end there. It’s also important to think about having a proper keyword density percentage, fill in the alt tags for the images, include multimedia to make the content more lively. If there is too much duplicate content on your website, search engines will mark it as low quality, and it will eventually get filtered out of search results. You can use professional-grade tools to check if your website contains duplicate content (like Copyscape or Duplichecker). Even though it may seem hard to come up with unique content for a restaurant, you need to have at least some of it. And if you’re just unable to get your creative juices flowing, there’s always the option of hiring one of our professional content writers to do it for you. Don’t worry our ghostwriters are 100% invisible and don’t need credit for the work. In the end, real people will be visiting your website, which means you need to think about how you’re going to convert them into customers (in other words, get them to visit your restaurant and spend their money). You need to motivate them by demonstrating how great your place is, showcase the menus available, lure them in with exclusive discounts, and other types of sales and marketing techniques. In today’s wave of rising demands, listing the menus on your website is just not enough. After all, this is what everyone else seems to be doing, and you always need to be on the lookout for ways in which you’re going to stand out from the crowd. So here’s what to do instead: for every meal listed on the menu, have a top-quality photo accompany it, taken by a professional photographer and embellished by the best Photoshop expert you know. That way, you’ll make sure that the picture triggers an emotional response in your potential prospects, which will make them more likely to stop by your restaurant for a bite to eat. You’re probably going to have to think about adding reputation management to your restaurant marketing strategy sooner or later. Today, a large percentage of people will check the online reviews before deciding to do business with you. Reviews and customers testimonials act as a social proof (people are inclined to copy the behavior of others, in an attempt to reflect correct behavior) that should be a part of your overall marketing strategy. That’s the reality, and you’re going to need to develop a plan on how to execute it. Don’t just wait for reviews to happen! While many customers are willing to leave a review on their own, waiting for it to happen is like standing in the middle of the desert and hoping for the rain to fall. Therefore, taking the proactive approach is the better strategy. Unfortunately, it gets a little bit more complicated than that, since angry customers are more likely to leave a review than those who were satisfied by your services, which already creates a problematic situation for restaurant owners. In fact, “can I remove negative reviews” is probably a popular search term used by many restaurant owners. For example, poor quality reviews of your business on Yelp affect your search rankings as well. Reviews have a smaller impact on franchise owners of big corporations like McDonald’s because they have a corporate brand to protect them. Small business owners, however, experience reviews as something that can make or break them. There are many review sites out there, including Amazon, Google My Business, Yahoo user listings, Facebook, Twitter, etc., all of which have unique terms of service and each demanding a custom-tailored approach when it comes to online reputation management. But since covering all of this is way beyond the scope of this article, we’re going to be focusing on the most challenging customer review website of them all: Yelp. How to deal with bad reviews on Yelp? Before Yelp dealing with bad online reviews was not a critical part of restaurant marketing. Well, unfortunately, it is now, and your first instinct may be to tackle the negative reviews head-on, explaining why the person who wrote the review is wrong. This approach should be your last resort if used at all because replying to negative reviews will make them less likely to get removed. Worse yet, by doing this, you risk having the discussion escalate to a flame-war, which certainly won’t do your online reputation any favors. When dealing with bad reviews, the first thing to do is check if they’re violating Yelp’s terms of service in any way. If they are, removing them is rather simple. If the review contains any derogatory remarks, is insulting or a personal attack on an employee, if it’s ethnically or religiously intolerant, you can file a complaint to Yelp directly, outlining the TOS violations. The same is true if the bad review is an ex-employee retaliation, or merely a four-word nonsense with no substance or meaning other than trying to cast a bad light on you and your business. Yelp is very cooperative when the person who left the review violated its terms of service. If you’ve tried everything we’ve mentioned without any success, you can always try to contact the lousy reviewer off the site and convince him to delete or edit the review. Afterwards, tell them you understand their frustration, displaying care and empathy in your tone of writing. Tell them that people who work there have families to feed and bad reviews may cause them to lose their jobs. Convince them they are doing a good deed by editing or removing the review, and offer them a free meal or drink if nothing else works while making it known you’ve taken the critique to heart and are willing to make the necessary changes and ensure that it never happens again. If you can’t get the review removed, you can at least leave a positive reply. In fact, don’t let any comment on your business go unanswered, good or bad. Be professional and state the facts in your response. Have you been wrongly accused of not using all-natural and fat-free ingredients, for example? Remain calm and list your supplier sources. Ask unsatisfied customers to try your restaurant again and take this as an opportunity to promote the strengths of your business. Turn lemons into lemonade. It’s as simple as that. Hopefully, you’ve dealt with the negative reviews, so now we can finally focus on getting you some positive ones. First, a word of caution: Yelp, unlike Google My Business, discourages asking for reviews and has many filters in place for preventing fake ones. Here are three things you should not do to get reviews on Yelp. Never mass email your list of customers, asking for a Yelp review. If you do this, Yelp’s algorithms are smart enough to pick it up and discount the reviewer’s comments entirely. Reviews posted on the same day are going to raise all kinds of red flags. Don’t ask people who are not already active Yelp users. Yelp’s system makes it difficult for new users to leave reviews that count as recommended. Therefore, if you ask someone that never used Yelp before, chances are it won’t become a recommended review, and that won’t improve the rating score for your business. Never print business cards to hand out with a link to your Yelp page. It sounds like a good idea on its face, after all, how is Yelp going to know you handed out a business card imprinted with a link to your business profile. The direct link approaches have a high likelihood of failure. Yelp can recognize direct URL entries as untrusted reviews. Furthermore, a card with your Yelp link on it makes no sense because active Yelp users are likely to have a smartphone with the Yelp App installed. If Yelp users want to leave a review for you, all they would need to do is open the Yelp App and make their comments known before they depart your restaurant. In fact, they probably used the Yelp App to find your restaurant that same day while driving home from work on a Friday afternoon. Getting more Yelp reviews without asking. One option that could work is to ask a Yelp customer, who just received excellent service at your restaurant if they have ever left a positive review on Yelp. Active Yelp users might see this as a gentle reminder and leave you a good review. This approach does not violate the Yelp business guidelines because you are not asking for a review, but it might improve your chances for a positive review. All in all, providing an excellent service should be the core of your restaurant marketing strategy. That way, you’ll stand a good chance of getting a hefty portion of good reviews the organic way, and when you do discretely ask active yelp users if they give reviews on Yelp, you stand a good chance of getting one.